Physical Properties: A physical property of a substance means its shape, size and physical state of a substance. 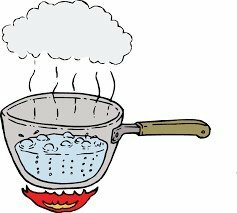 For example: when water boils it turns to vapor but its still water in gaseous form. Although its state changes. Chemical Properties:The basic inherent nature of a substance is known as chemical properties. 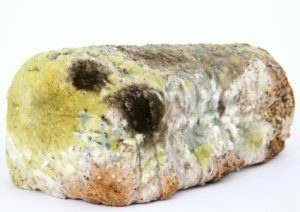 For example mold on a piece of bread. Once yeast is formed, we would never get the original bread form. All such changes can be separated into two types – Physical and Chemical. What are the physical changes? Physical changes are the changes in physical properties which does not involve new produce of substances. Changes are very much reversible like – melting of ice. Chemical changes are permanent changes which happen to the original substances making it lose its inherent properties. Changes like these are irreversible like – rusting of iron, burning of wood. What is an example of a physical change? Heating of water: When water is heated no new substance is formed. No change in color or smell. Paper folding: A paper can be folded or refolded and unfolded again hence it is an example of physical change. Here, no new substance is formed in this. So, it is a physical change. Molding of clay: Clay when molded. Shape changes, its size changes but no gas evolves, or no new substance is formed and no smell is produced. Cutting of wood: When we cut a piece of wood we get more number of wood pieces but there is no new substance produced, no gas evolution and no change in the property of wood. Crushing paper: Here, again no new substance is formed. Can be brought back to its original form. No gas is released. Mixing salt in water: Water and salt can be easily separated. This is a physical change because no new substance is formed and the chemical properties of substances involved are completely intact. When properties of substance change and new substances are formed is called chemical changes. Sometimes chemical changes are irreversible. In chemical change where it can be reversed chemical properties of substance alter and a new substance is formed. What is an example of a chemical change? Burning of anything like paper, wood, fuel etc. When a substance burns, many new substances are formed like ash and carbon dioxide is formed. A burnt substance cannot be turned to the original form by any chance since ash is what remains. Hence, burning of a substance is an irreversible chemical change. Wax melting: This is a reversible change because wax solidifies in room temperature. There is no new substance formed. No gas emissions and chemical property of wax does not change. Cooking vegetables: This involves baking or frying of food which then cannot be brought back to the original self. Smell is produced. It’s a new substance altogether. Digestion is an example of chemical change. New substances are produced. Food is broken down. Energy is released, cannot be converted to food again. Weathering of rocks: Rock formation involves immense heat and pressure. Running water on them, intense wind and expansion as a result of heat. These changes are irreversible. Melting of wax is a chemical change. A physical change involves formation of new products. A chemical change is irreversible. Burning of paper is a chemical change. Chemical change cannot be reversed by simple physical means.